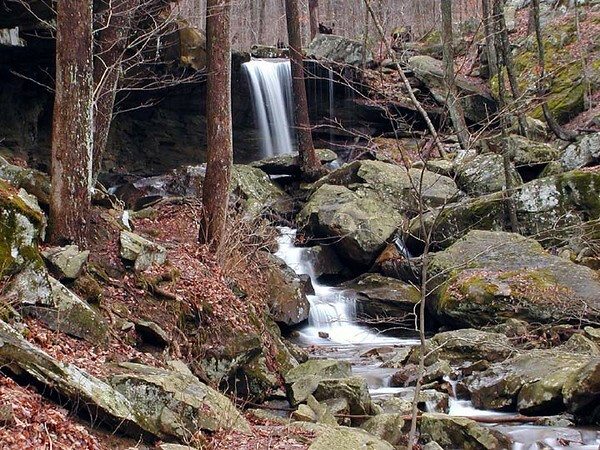 View of Emory Gap Falls in its entirety. Frozenhead State Park, TN. This falls is about 25 ft high.